Skulls and Bacon: Holy Bacon, Skull Jewelry and a Tat! I've been a little out of sorts the last couple of days and lax on posting but in the meantime, I've gotten a couple of emails that I had to share. It made me really happy to get your emails, thanks guys! With the lack of comments sometimes it makes me wonder if this thing is on. 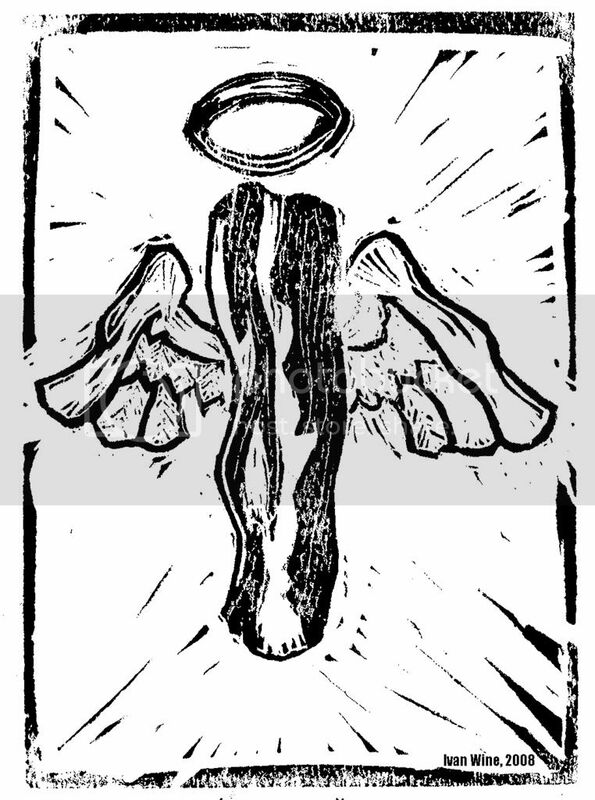 Ivan is an artist and sent me a pic of this fantastic Holy Bacon lino-cut which would look totally cool hanging in any kitchen. 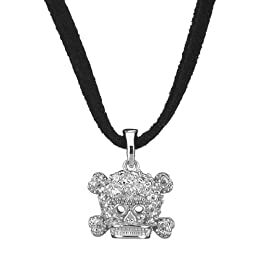 Angela sent me a link to this very cool Dia De Los Muertos Necklace from the Sundance Catalog. Tina received this skull charmer from her hubby. She also made this awesome skull pin! You crafty chick, you! 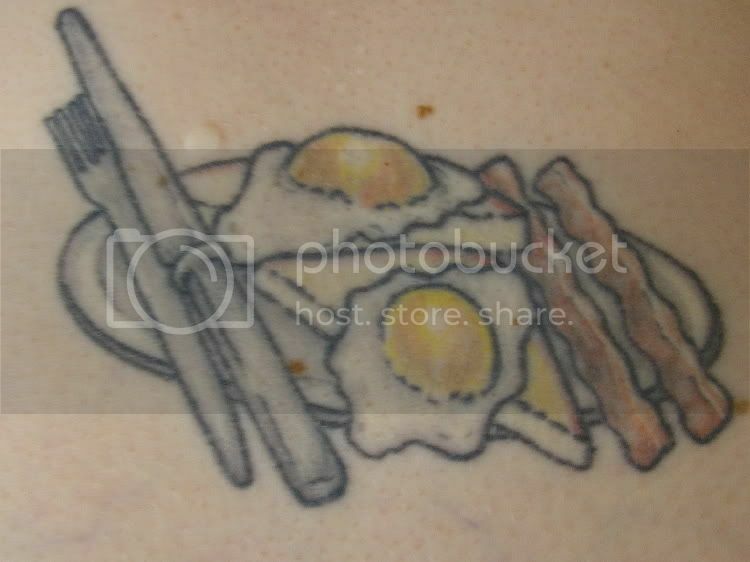 Helen from Marmalade Cake Company sent me a pic of her breakfast tattoo complete with bacon! Thanx for posting my pin! The pic of the pendant doesn't do it justice. It's so much cooler and more intricate in person.